Europeanbarging represents one of the best river cruise lines in the world - Amawaterways river cruises. SPRING, TX, USA, April 10, 2019 /EINPresswire.com/ -- These cruises allow you to discover the most scenic waterways in the world. Amawaterways Europe river cruise also allows you to explore the most historic cities in the world including, Prague, Paris, Normandy, Bordeaux, Amsterdam, Budapest, Munich, Zurich, Lisbon, and more. 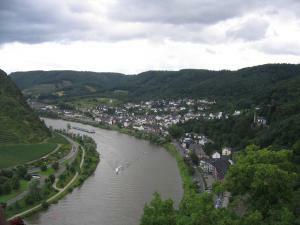 This is a seven-night cruise along the Rhine River. The cruise starts in Amsterdam and ends in Zurich. But, it has a number of stopovers including Cologne, Rhine Gorge, Rudesheim, Speyer, Strasbourg, Breisach, Basel and Lucerne. During this tour, you’ll get to enjoy the different attractions around Europe, including the Basel Old Town, the Rathaus and Marktplatz, the Basel Minster, Spalentor, Lake Luzern, Old Town Lucerne, and many more. You’ll also cruise along the beautiful castles along Rhine and go wine tasting in Rudesheim. You can also bike around Strasbourg. This is a cruise that you should not miss. If you have a lot of time to spare, you can spend a couple of nights in Budapest, explore Prague for three nights, and go on a 7-day cycling cruise along Danube via the Blue Danube discovery cruise. You’ll get to visit many cities when you take this cruise, including Bratislava, Budapest, Durnstein, Linz, Melk, Nuremberg, Passau, Pilzen, Prague, Regensburg and Vienna. You’ll enjoy the scenic and panoramic view of Linz, Melk, and Passau. You’ll also get to visit the different tourist spots in Budapest and Prague including, the Prague castle, the Clementinum, St. Vitus Cathedral, the Municipal House, Josefov, The Petrin Lookout Tower, Budapest Castle Hill, Magnificent Margaret Island, and the Inner Ring. If you’re planning for a grand vacation, the Amawaterways Gems of the Southwest Cruise is perfect for you. The Gems of the Southwest Cruise is a 12-day cruise and land tour that starts in Vienna and ends in Bucharest. When you take this cruise, you’ll get to explore a number of beautiful cities including Vienna, Budapest, Mohac’s, Pecs, Vilany, Vukovar, Novi Sad, Belgrade, cruising through the Iron Gates, Vidin, Giurgiu, Bucharest Rousse, Brasov. You can even tour around these cities using a bicycle, free of charge. The Enticing Douro Cruise is an 11-day cruise from Lisbon to Porto. This is a wine cruise so there are a number of wine tasting courses along the way. You’ll get to enjoy the beautiful cities of Lisbon, Porto, Regua, Barca d’Alva, Vega Terron, Pinhao, and Entre-os Rios. There are a lot of Amawaterways River Cruises that you can try including the Ultimate River Cruise, the Magnificent Europe Cruise, Holland Tulip River Cruise, Christmas Market Cruises, Wine Themed Cruises and the Melodies of the Danube. Each cruise provides a unique experience. Plus, Amawaterways is the only river cruise that carries a number of safety helmets and bicycles. You can join a bike tour or you can explore the cities on a bicycle on your own. You can cycle along the Danube and Wachau Valley. You can also join the cycling tour in Antwerp if you choose to go on Holland Tulip River Cruise or along the Seine River.